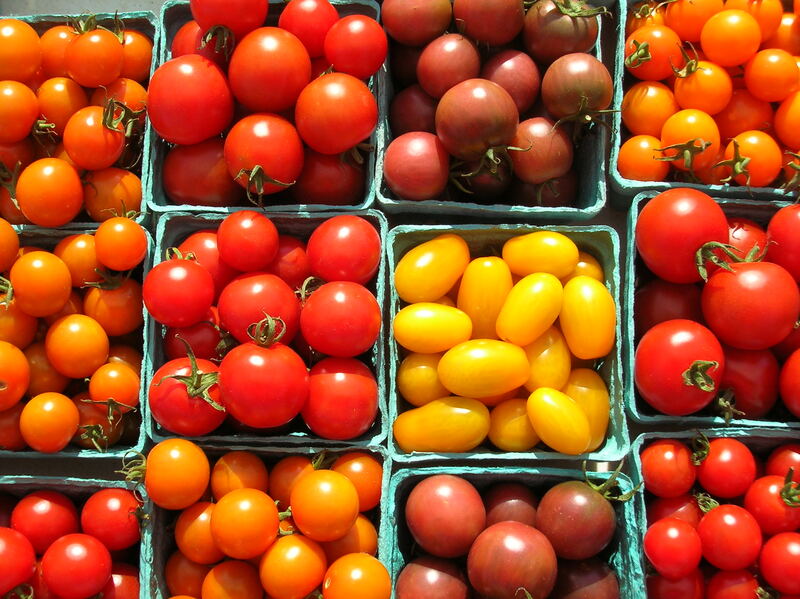 The results are in and this summer’s winner in the taste department is an heirloom tomato, pink Brandywine. A close second is the ‘Beefmaster’ in the full-size tomato race. 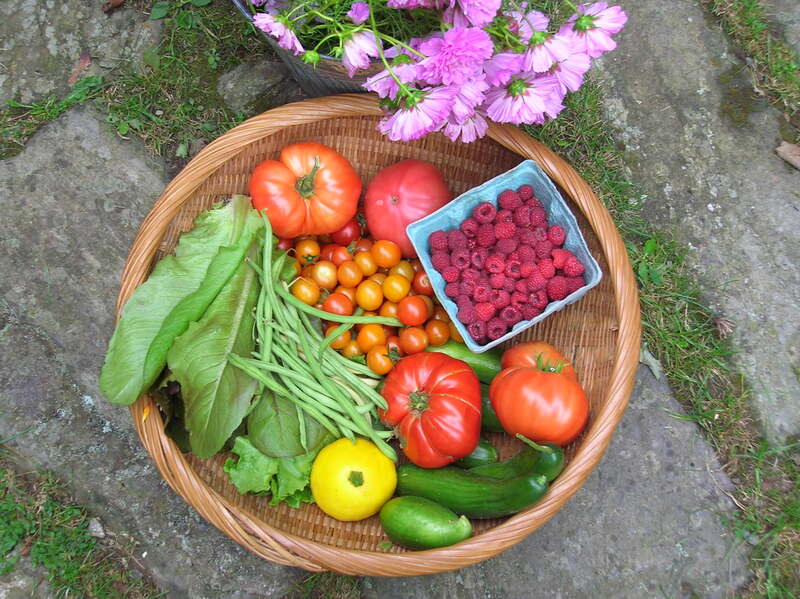 Plenty of sun and warm temperatures have helped produce a bountiful garden this summer. A day's harvest. Pink Brandywine tomato is the one just to the left of the raspberries. Note the fluffy cosmos, 'Doubleclick' from Renee's Garden Seeds.